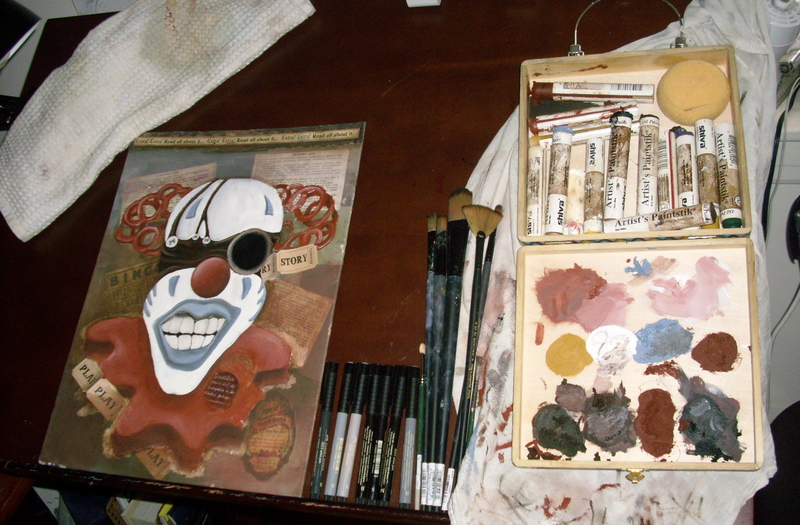 What an enjoyable weekend I had just painting my clown in my art studio by the pond. I have to admit though, I had no idea how long it had been since posting to my sketchblog. Last May and the last posting I believe, I drew this clown. Since then, he has been written into my middle grade novel, which by the way is almost complete, and painted into a wonderful mixed-media piece. There is so much more to this piece and I will actually unveil it sometime this week. I plan to finish the entire work by Wednesday of this week so be sure to check back here to see the finished piece. The novel I have been working so hard on over the past year has inspired me to explore an entirely new genre of art which will also be explained in more detail just as soon as I figure out the details. 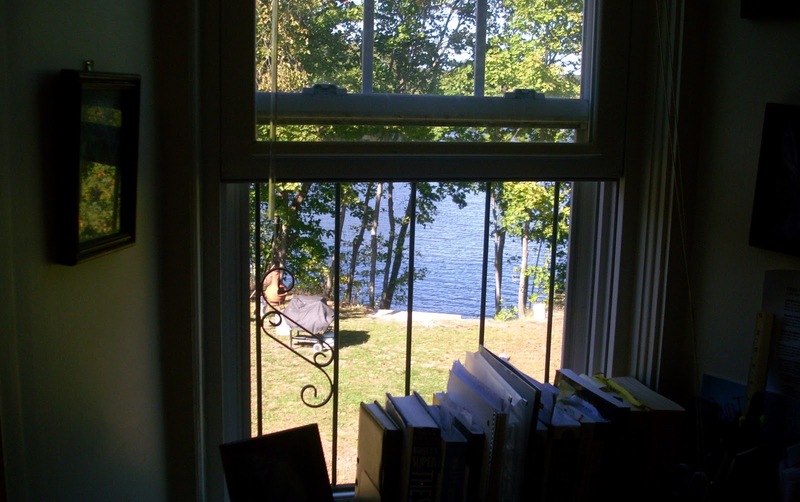 I have so many wonderful ideas floating – no, more like flying – around my brain right now I can hardly keep up! Its exciting and exhausting at the same time. But just like any proper artist, I cave to my creativity and explore all of my ideas as my ‘domestic’ life falls apart around me. It’s a good thing I have such supporting children who have learned to accept that the kitchen can sometimes become an art studio and that dinner can be fun eating picnic-style on the living room floor! My lovely boyfriend also has a world of patience with me as I get lost in my work and refuse to leave the house for an entire weekend. My family is not only understanding of my creative “condition” but they actually encourage me to paint and write and are excited to see the next piece. I have to say I have been blessed. Next Post Carnival Clown arises from the garbage heap in my novel!